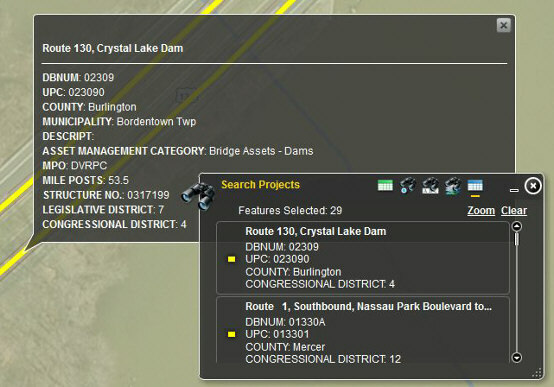 The Search Projects tool is used for searching and locating a specific project or a group of projects on the map. 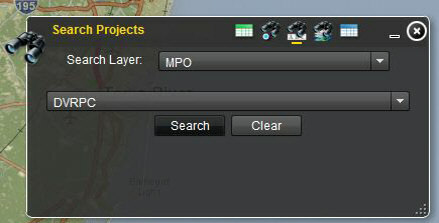 Click the Search Projects icon in the toolbar to launch the Search Projects tool. 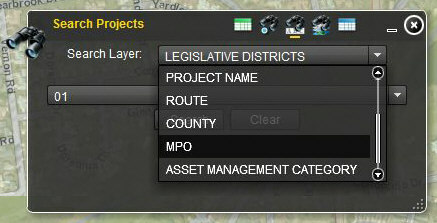 The example shows the user selecting the Metropolitan Planning Organizations (MPO) option to search in the pull-down menu in the Search Projects tool. 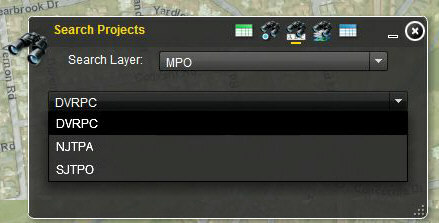 After selecting the MPO option the user can choose from another pull-down menu for the specific MPO to search. 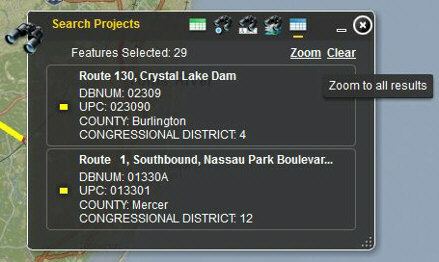 The example shows the user selecting the Delaware Valley Regional Planning Commission (DVRPC) option to search. Click the Search button and the Search Projects results window will list all the basic information for DVRPC Capital Program projects. 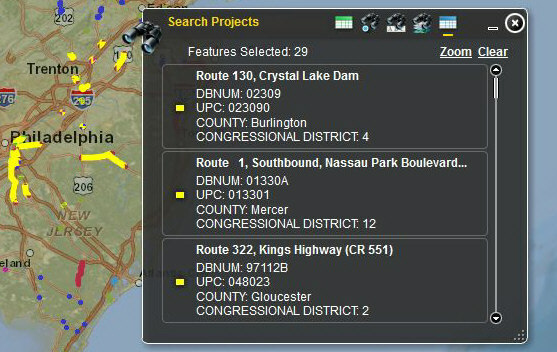 The projects will be highlighted in yellow on the map. The user can then click on the basic project information listed in the Search Projects results window to zoom to the specific project on the map and to view some more detailed information of the particular project. The user can also zoom to all the results by clicking on the Zoom link in the Search Projects results window and can clear the Search Projects window to start a new search by clicking on Clear.